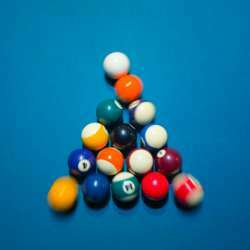 You must be a member of the Munich Pool / Billiard Group to attend this activity. Would you like to join this group? Great Company, location and a beer. Even if you haven't played in a while, its still great fun. I have 2 Tables booked for two hours in a separate room. Cost €24 to be divided equally amongst all players, max of 8. Teams of two players mixing throughout. If you arrive later, ask the staff for directions to the "Nebenzimmer”. I paid in advance for the tables so If you have to cancel please do so at least three day before the event so that other members can participate.